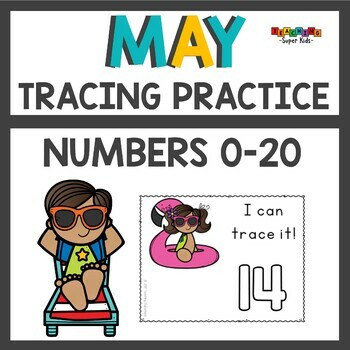 Summer Themed number tracing cards. This dollar deals set comes in 2 styles one with dashed numbers and one that the kids can trace inside the number. 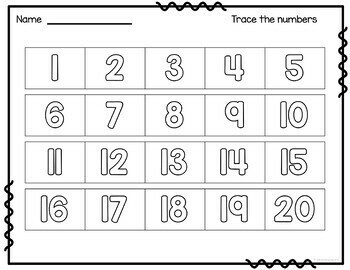 Tracing cards for numbers 1-20. Use during small groups or whole group. Comes with a black and white set as well for those that need that option!